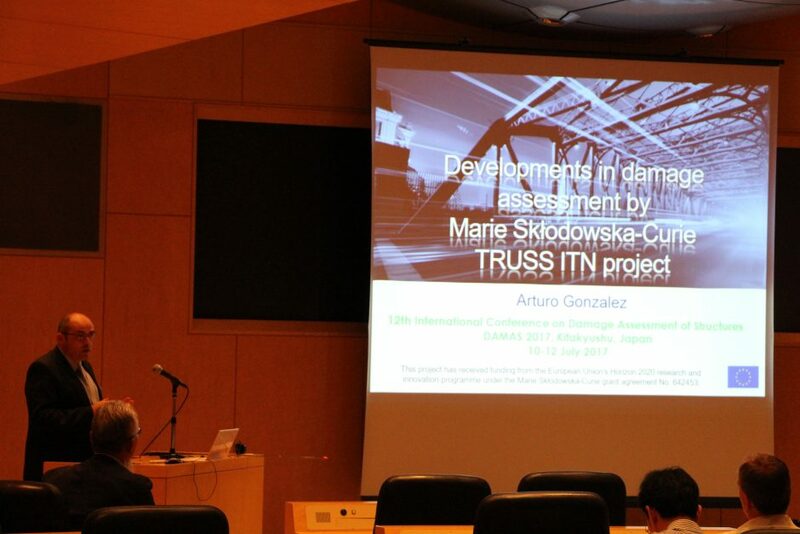 The coordinator, Dr. Arturo Gonzalez, presented the TRUSS paper entitled “Developments in damage assessment by Marie Skłodowska-Curie TRUSS ITN project” at the 12th International Conference on Damage Assessment of Structures (DAMAS 2017). 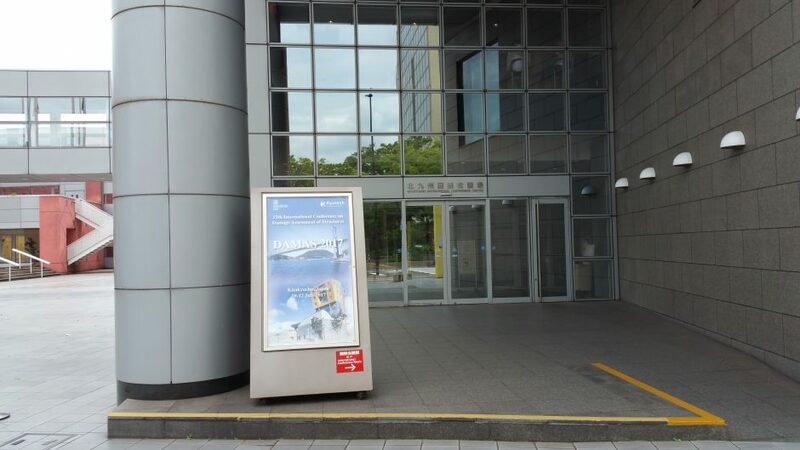 DAMAS 2017 took place in the International Conference Center at Kitakyushu (Japan) from 10th to 12th July. 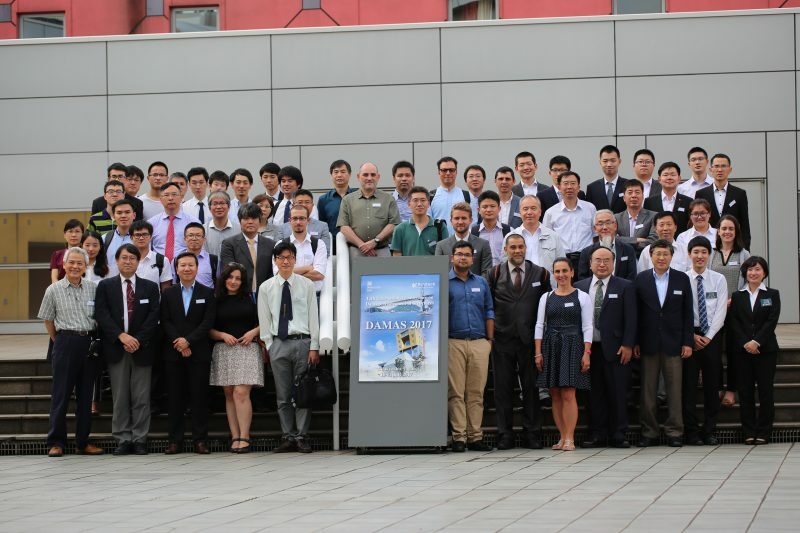 The event brought together the expertise of about 150 scientists and engineers in academia and industry in the field of damage assessment, structural health monitoring and non-destructive evaluation. 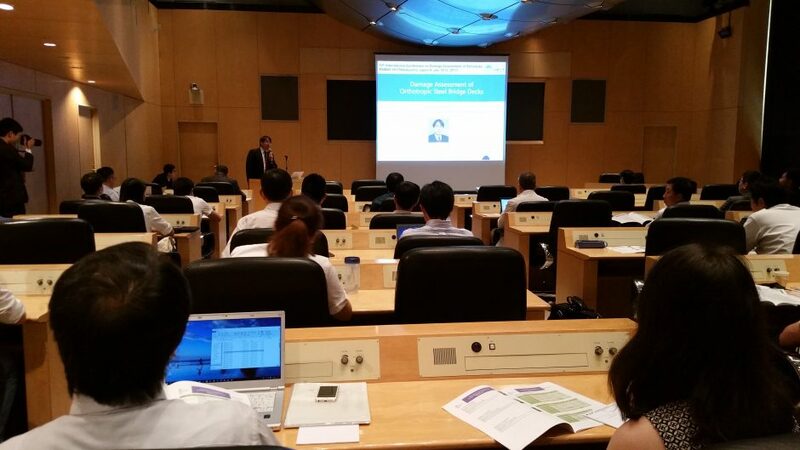 Research topics at the conference included numerical simulations, signal processing of sensor measurements and theoretical techniques as well as experimental case studies. Further details are available at the hyperlink for the conference website given at the bottom of this post. TRUSS presentation was included as part of the general session about “Damage in Civil Engineering” chaired by Y. J. Kim in the International Conference Room on Tuesday 11th July. The paper was presented from 12:40 to 1:00 pm and the instant of questions that followed is pictured below. In this single paper, all project objectives and technologies by TRUSS are encompassed. The contents describe dissemination & outreach activities (WP2) and training (WP3), and summarizes progress up to date in research on buildings, energy and marine infrastructure (WP4) and on rail and road infrastructure (WP5). More specifics on the individual research outputs can be found in the 38 publications by TRUSS researchers provided in the list of references. 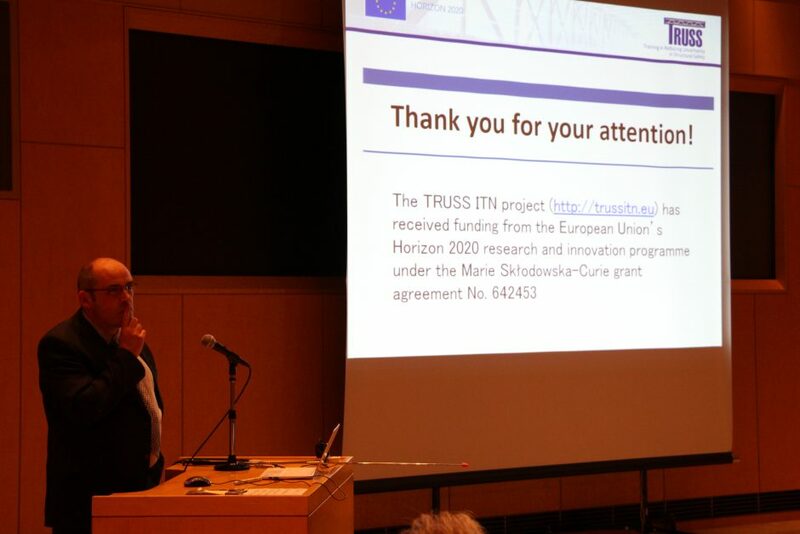 The audience showed an interest on how TRUSS had incorporated uncertainty within the network-wide training programme, dealt with uncertainty in each research project and integrated all projects together. Abstract: The growth of cities, the impacts of climate change and the massive cost of providing new infrastructure provide the impetus for TRUSS (Training in Reducing Uncertainty in Structural Safety), a €3.7 million Marie Skłodowska-Curie Action Innovative Training Network project funded by EU’s Horizon 2020 programme, which aims to maximize the potential of infrastructure that already exists (http://trussitn.eu). For that purpose, TRUSS brings together an international, inter-sectoral and multidisciplinary collaboration between five academic and eleven industry institutions from five European countries. The project covers rail and road infrastructure, buildings and energy and marine infrastructure. This paper reports progress in fields such as advanced sensor-based structural health monitoring solutions – unmanned aerial vehicles, optical backscatter reflectometry, monitoring sensors mounted on vehicles, … – and innovative algorithms for structural designs and short- and long-term assessments of buildings, bridges, pavements, ships, ship unloaders, nuclear components and wind turbine towers that will support infrastructure operators and owners in managing their assets.